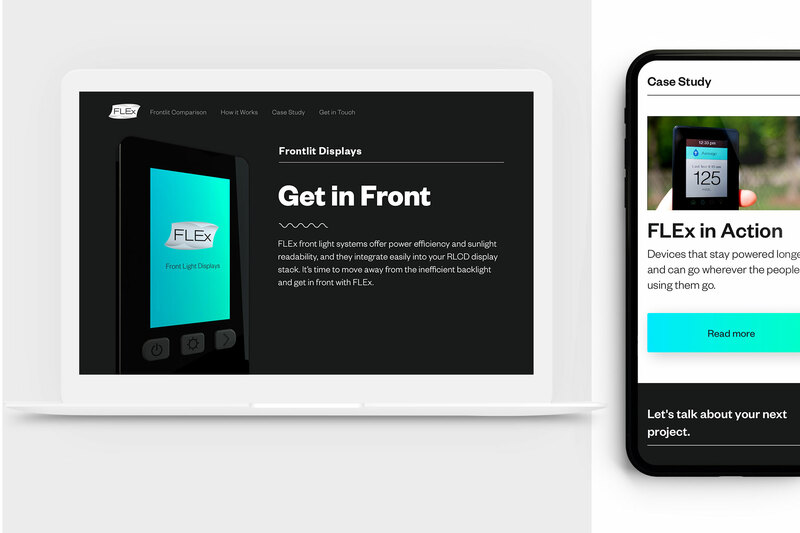 FLEx Lighting Solutions created a revolutionary lighting system for displays—so revolutionary that devices could stay powered up to 5 days on a single charge. This new ultrathin front light is very thin and flexible, and works well in sunlight, unlike the ubiquitous backlight. The only problem? The idea of a front light is so foreign to engineers and designers that they wouldn’t even know what it is. So FLEx asked us to help get the word out and bring in some leads. 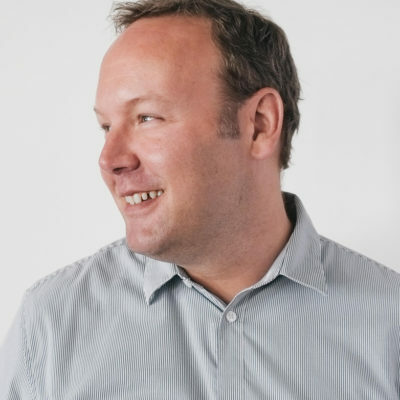 Running a lead gen campaign with tech that was previously inconceivable is no easy feat. It requires quite a bit of awareness upfront. We knew that we had to hit the right people at the right time in the right place with the right message—and introduce a whole new type of display light. So we dove in head first to account based marketing. For consumers, the lightguide would be a huge convenience. But for industrial, medical and IoT devices FLEx offers some huge safety and efficiency benefits—which could translate to more lives saved and more devices using less power. So we targeted designers, engineers and the C-suite in those verticals. 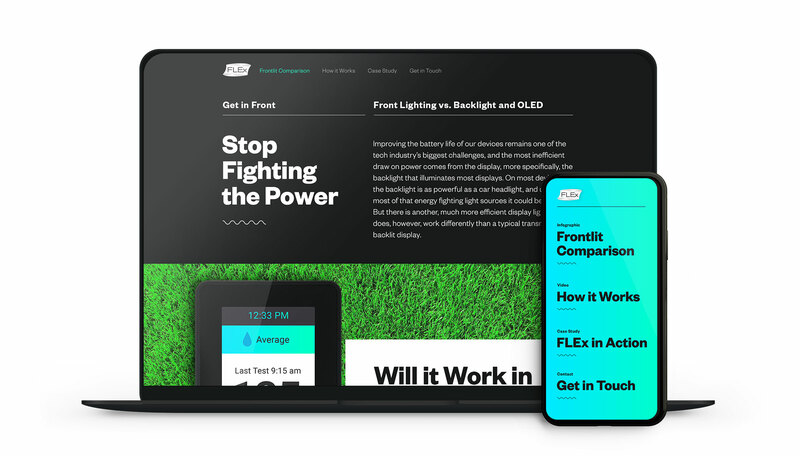 FLEx thought of themselves and described themselves as a lighting company, but the people who would be interested in their technology weren’t necessarily looking for a new light. They were looking for ways to be more energy efficient. 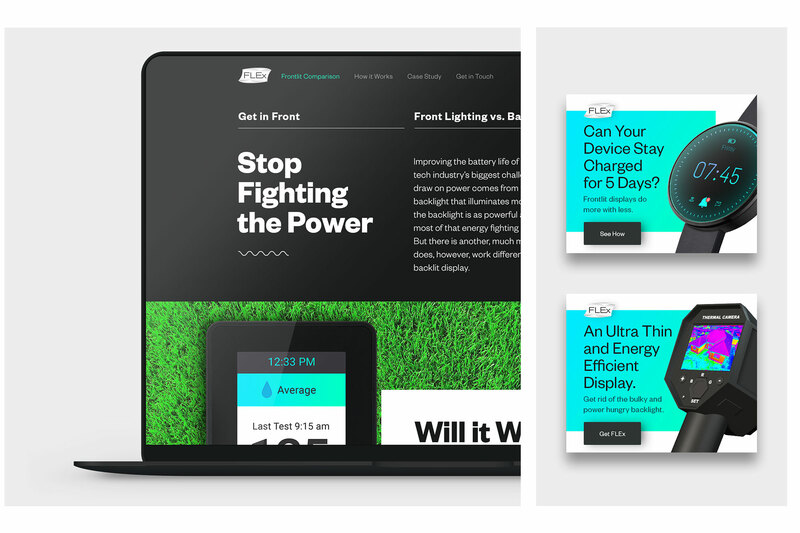 So we built a hyper-focused microsite that educated people on display stacks, and where most of the energy gets wasted. And when they learned about the technology, we wowed them with case studies and slide shares. Our audiences generally avoided marketing—they wanted to be in control of what they bought and used. So we learned their language and went to where they were hanging out. Flashy language wouldn’t do, so we put the incredible proof points and FLEx prototypes in front of them instead. 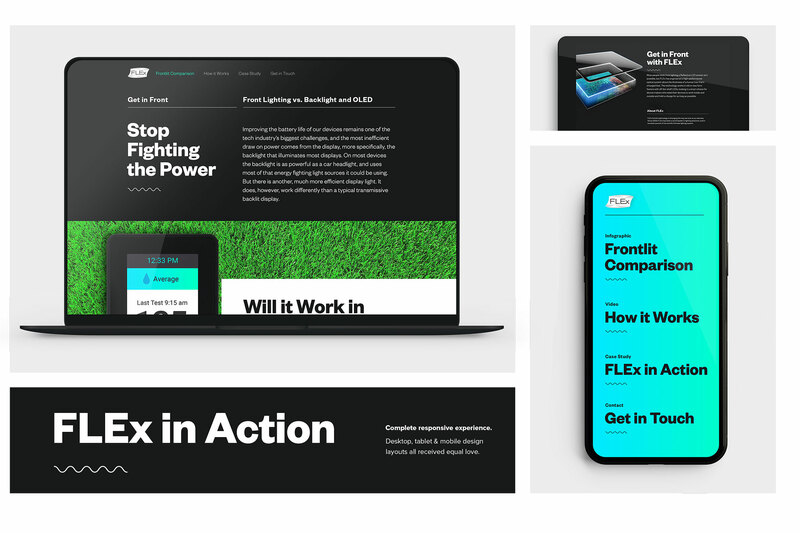 FLEx is incredible tech, but we needed to topple the status quo, and then explain what FLEx offers. We established a problem that our targets previously didn’t consider and then solved it. Get in Front was all about dismantling the legacy of the backlight and showing targets how they can move their product ahead. FLEx already had a clean brand that worked well with their products. We took their aesthetic and pushed it even further on the microsite and in the display ads. Clean lines, crisp black and white backgrounds and minimal iconography let the content really shine. Engineers and designers had always used a backlight because they couldn’t find a viable alternative. For years they simply accepted the high power draw and inefficiencies. So we created messaging that brought the downsides of the backlight to the forefront and offered FLEx as a better alternative. Our microsite did more than generate leads. It helped start a conversation about the backlight. 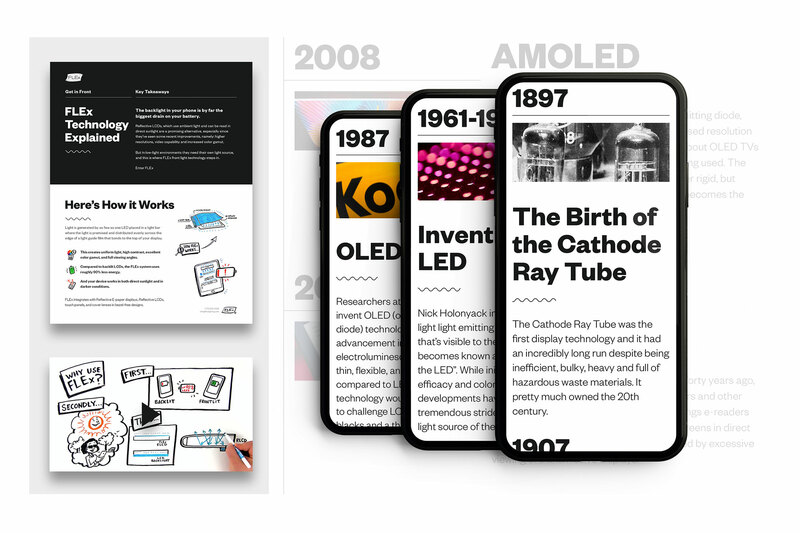 We created case studies, a video, a timeline of display tech, white papers and much more to help stoke the fires in the engineer and design worlds. In the first 3 months of our ABM campaign, traffic to the FLEx website has increased by 103% with a 129% increase in unique visitors year over year. And we’ve gotten over 400 qualified leads from our microsite experience. Designers, engineers and the C-suite of medical, industrial and IoT devices are starting to see why legacy display stacks should leave the backlight behind and get in front with FLEx.